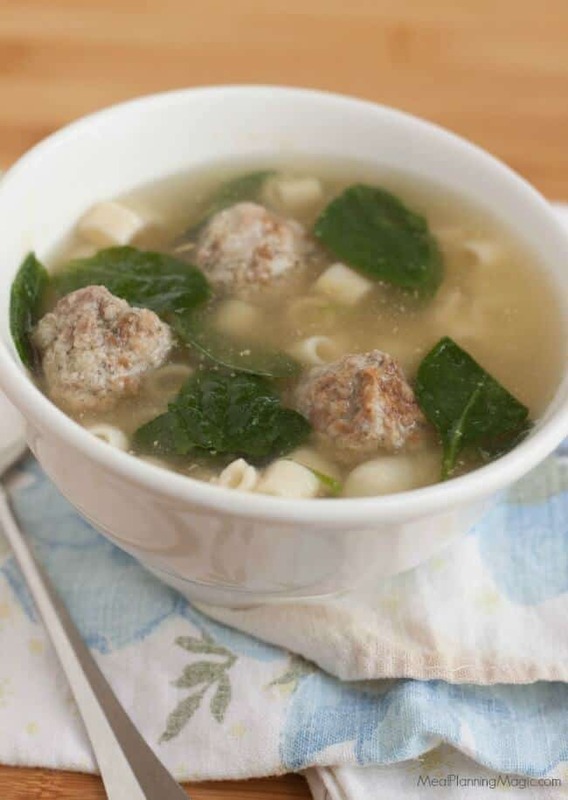 Slow Cooker Mini Meatball Noodle Soup is an easy, flavorful twist on traditional chicken noodle soup. You can even make much of it ahead saving you even more time in the kitchen! 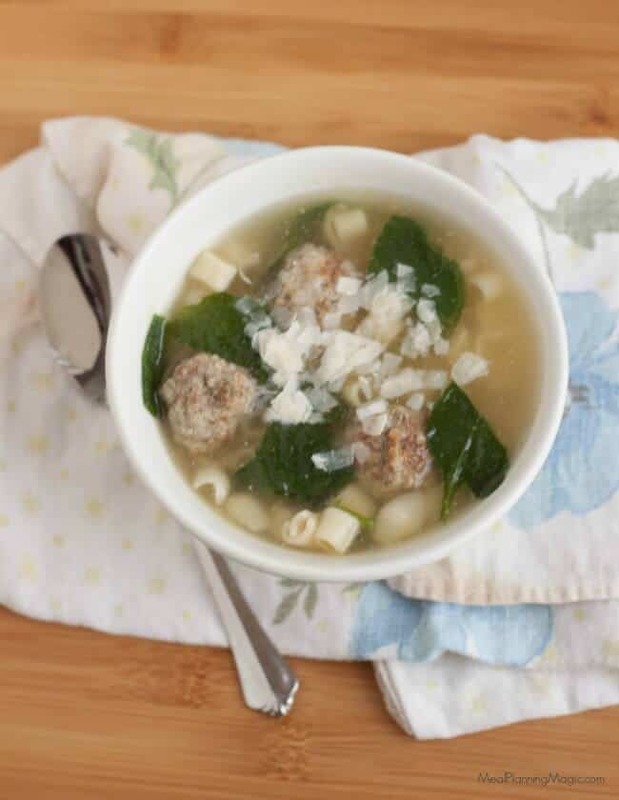 CLICK HERE TO PIN this Slow Cooker Mini Meatball Noodle Soup recipe to Pinterest for later! I was so busy throwing this together that I forgot to take very many pictures, especially of the ingredients but I promise you it’s so super easy to put this together I know you will figure it out! 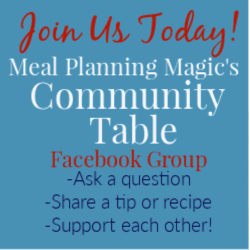 Make Ahead Soup-You Have Options! 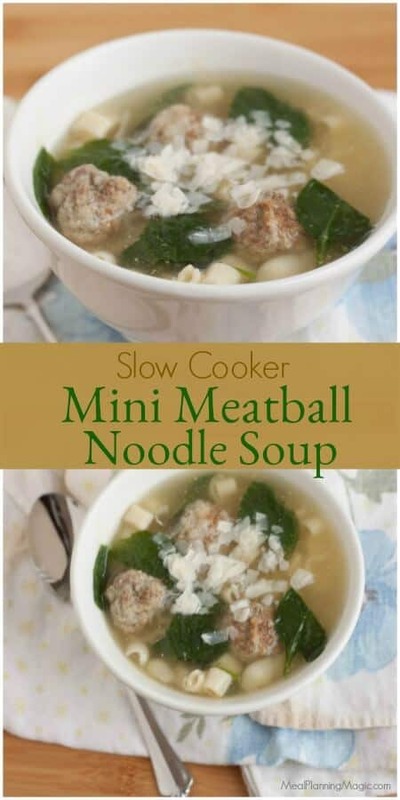 There are a few things I love about this Slow Cooker Mini Meatball Noodle Soup. First of all, you can make the mini meatballs ahead of time. Make them the day before and store in the refrigerator or even freeze them so you can throw everything together in the slow cooker at the last minute, set it to start and go! Secondly, I like that it has spinach in it. My family can always use more vegetables in their diet and the spinach in this soup blends in well with little noticeable flavor. My son is not always a fan of the texture of the wilted spinach but he will still eat it. Many times I will make a large batch of the meatballs all at once and freeze some for future use in this recipe. You can freeze the meatballs two ways: form the meatballs and place the raw meatballs on a baking sheet and freeze until solid. You’ll then need to thaw and cook them before putting them in the soup. Or you can form the meatballs, bake them, place them on a baking sheet, freeze until solid and then store until you’re ready to use. 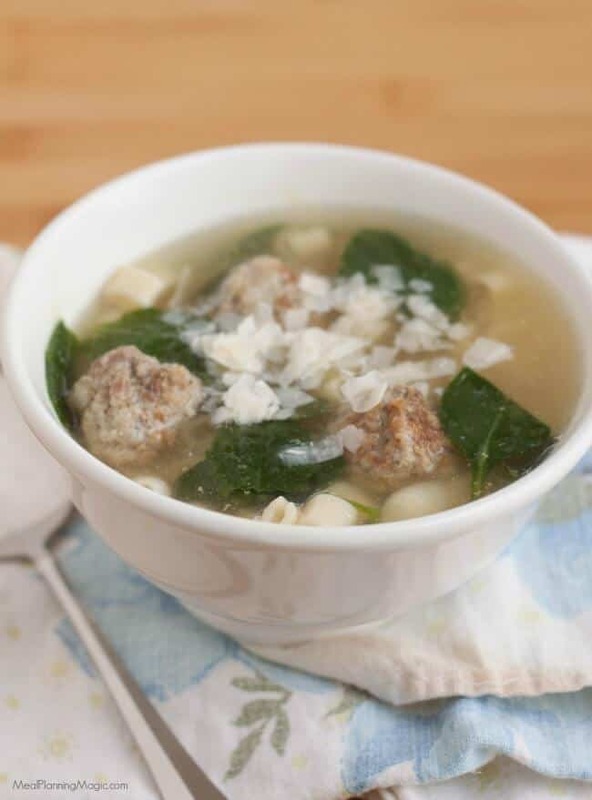 If you choose the second method, you can just put the frozen meatballs directly into the broth in the slow cooker while it cooks—so easy! Now, one thing to note. This recipe calls for ditalini pasta which is a small tube pasta. I used to be able to find this with no problems at many grocery stores but for some reason it’s been a lot more difficult to find lately. If you have trouble finding it too, you can just substitute any small pasta such as small shells or even elbow macaroni. 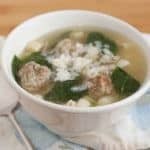 This Slow Cooker Mini Meatball Noodle Soup is delicious on a weeknight but I’ve also made it for company and it was a hit. Paired with a garden salad and some crusty bread, you’ve got a simple meal for any occasion. I hope you’ll give it a try! Prepare large baking sheet by lining with foil or silicone mat. In large bowl, combine pork, beef, cheese, bread crumbs and eggs until thoroughly combined. With a small measuring scoop (1 teaspoon size or so), form into mini meatballs. Place on baking sheet. Repeat until all mixture is used. Bake meatballs in heated oven for 20-30 minutes, checking first at 20 minute mark. While meatballs are baking, combine parsley, salt, black pepper, chicken broth and baby spinach in 6 quart slowcooker. When meatballs are done baking, add to slowcooker mixture. Cook on LOW for 6-8 hours or HIGH for 3-4 hours. Just before serving, add cooked pasta. Looking for more easy SLOW COOKER SOUP recipes? 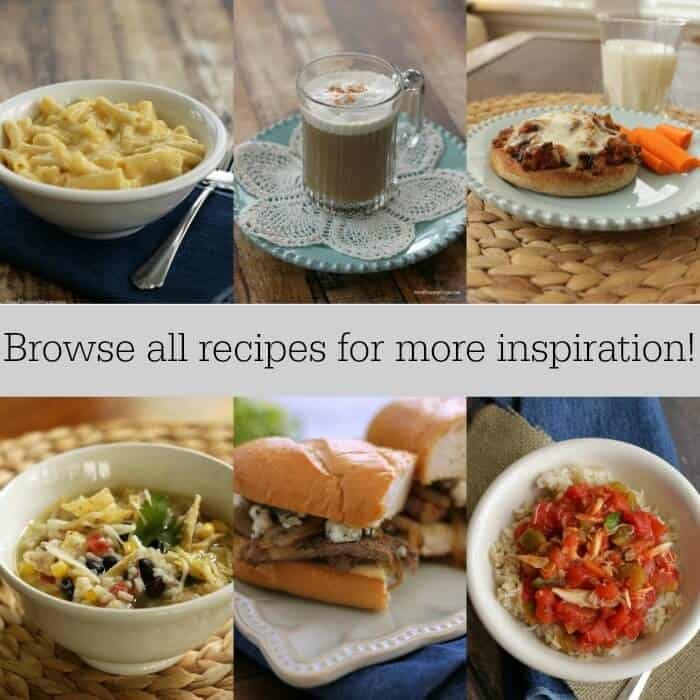 Be sure to check out some of my other favorite recipes like Crockpot Lasagna Soup or Simple Slowcooker Ground Turkey Vegetable Barley Soup or Slowcooker French Onion Soup. These truly are some of my family’s favorite recipes and I have even made them for company! Paired with a simple garden salad and some crusty bread and you’ve got a complete meal perfect for any day of the week! Don’t Miss Out–Follow Me On Social Media or Email! Am I missing the recipe?? I see the comments you made about making it but is there actually a recipe? It looks delicious and simple. I would like to try it if you have the recipe. Thanks! Laurie, thank you for the heads up! Technical issue–I wrote up the recipe but for some reason it did not add the recipe card–it is there now! I apologize for the delayed reply–I have been sick so have been offline more than usual. I hope you enjoy the soup! Sorry you have been feeling well. Hope you are doing better! Thank you for the recipe! I am going to try it ASAP! Great! Let me know what you think–I have been known to sneak some of the cooked meatballs before they go into the soup–they are yummy!